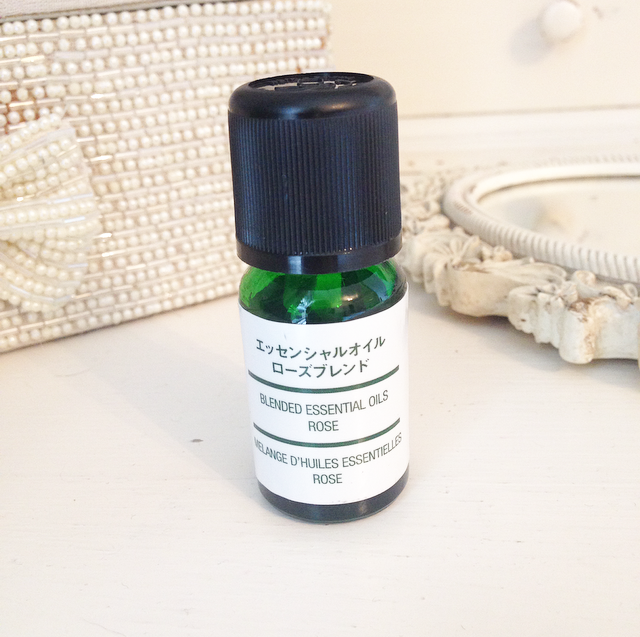 A few drops of this Rose Oil in my electric aroma diffuser fills the air with the romantic aroma of fresh garden roses. Rose oil is widely used in aromatherapy and invokes positive thoughts, spiritual relaxation and feelings of joy, happiness and hope. Most people buy these diffuser’s for indoor use as that’s what they’ve been designed for, however I find them a bit heavy for indoor and prefer them for outdoor use. (Indoor I use candles for filling my home with beautiful aroma’s) The diffuser uses ultrasonic waves to vaporise water and the essential oil in the tank to produce a cool, dry, fragrant mist. It also houses a lamp that shines with an ambient glow. It costs £45 and the oils are £3.95 take a look here muji online. There are various oils to purchase from Muji, I find some of them pleasently authentic and some to smell a bit plasticy or like toilet cleaner! The Rose is my favourite as it actually smells like roses and isn’t too over powering. So next time you are relaxing in your garden plug one in and enjoy the fragrant mist to enhance your mood or help you relax. I promise you will love it! WHIPPED CLEAN Shower gel and Body Butter all in one – smells good enough to eat!